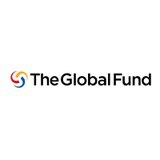 The Global Fund - "In June 2015, ICASO and the International HIV/AIDS Alliance published a discussion paper which analyzed the development of regional concept notes (RCNs) for the Global Fund to Fight AIDS, Tuberculosis and Malaria (the Global Fund). The paper looked at three case studies of RCNs which were developed and submitted as part of the first round, or first window of regional applications since the full roll-out of the Global Fund’s “new funding model” in 2014. In February 2016, a second round of RCNs were submitted to the Global Fund. In this paper, ICASO and the International HIV/AIDS Alliance present the findings of six case studies of regional concept note (RCN) development experiences in Asia, West Africa, the Middle East and North Africa (MENA), Latin America and the Caribbean, and Eastern Europe and Central Asia (EECA). In general, the regional application process improved in the second round compared to that of the first. More technical assistance was available, greater predictability was afforded to applicants, and more funding was mobilized to support RCN development. Applicants also benefited from lessons learned in the first round, and were generally more proficient at developing the applications. However, some challenges persist. Most notably, as the rationale and demand for regional programs expands, there remains only modest coordination and servicing of regional programs at the Global Fund Secretariat."